At Sync we understand the frustration of having value locked up in ageing and unsuitable technology, particularly in educational institutions where every penny counts. But we have a solution. If you’re stuck with old devices that no longer serve their intended purpose, we will buyback all such devices and give you the best possible value in return, injecting essential money back into your school’s budget for new tech. Speaking of new tech, our buyback system combines with a device subscription service, which helps you use the value of your old tech towards the cost of shiny new Apple devices for your students. 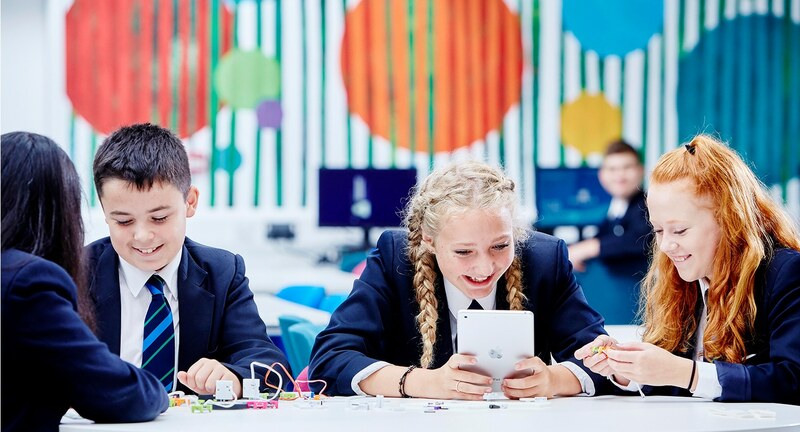 You can spread the cost of the latest Apple technology over three years, with flexible payment terms and predictable, regular payments to suit your school budget. Just because a device is getting on in years, doesn’t mean it can’t be of use. With this in mind, we send your ageing technology to schools in need all over the world, not landfills. And the devices that have reached the end of their life? These are responsibly broken down and properly recycled so they are never sent to landfill. We are as good as our word, but all legal paperwork is provided nonetheless, proving that your old technology was responsibly disposed of. All repurposed devices are thoroughly cleansed to Data Protection (1998) and the latest GDPR data protection standards. Wherever your old devices no longer hold residual value, we will still collect them from your school at no extra cost to you. The beauty of Syncfinity is that the benefits really are never-ending. Your school’s technology is kept bang up to date with all the latest developments, while the stress and heavy cost implications are entirely removed from the equation. Happy staff, happy students, happy budgets. Want to know more about Syncfinity education? Contact our consultants today to find out more – the details are below, or you can use the form if you prefer.